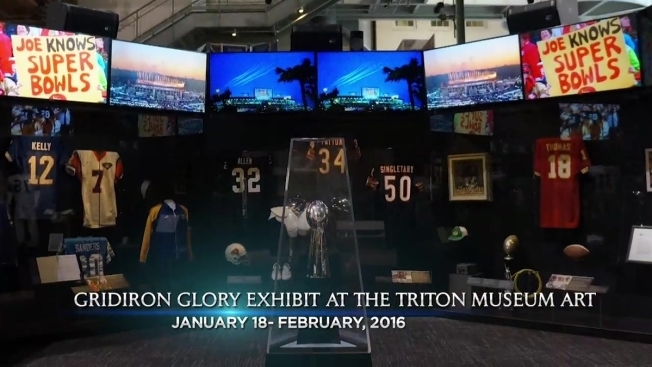 Santa Clara, home of Super Bowl 50 will feature the Triton Museum of Art’s ’Gridiron Glory: The Best of the Pro Football Hall of Fame exhibit’ free to all visitors. The collection will open January 18, 2016 showcases over 200 football mementos; award-winning photography, rare one of a kind documents, and interactive exhibits that will challenge both the mind and body. This exhibit includes everything from photos, NFL artifacts, and film presentations that will surely get any football fanatic ecstatic for the countdown to kickoff Super Bowl 50. An immersive fan experience awaits you at the Triton Museum.